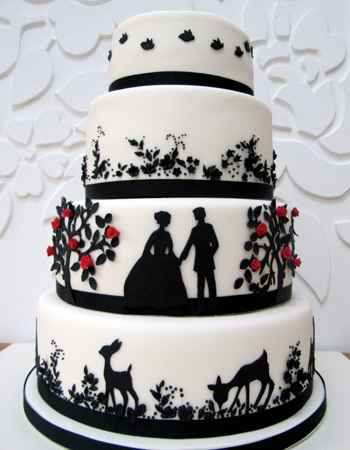 I just LOVE this beautiful wedding cake in black and white with a beautiful silhouetted fairytale - whimsical, stylish and chic! Just check out the tiny little roses in red. So beautiful!